Springs Dance Company Open Workshop, Saturday 6th February!!! Come dance with Naomi Cook and Daniel Cossette. 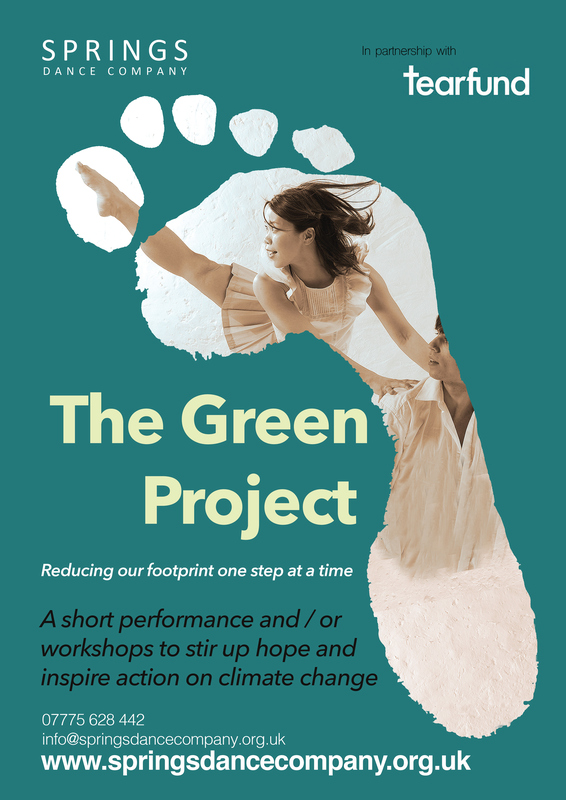 Naomi (Assistant Director, Springs,9 years) and Dan (formerly of Ad Deum Dance Company, now directing Infusion Physical Theatre, Cambridge) will lead a contemporary dance workshop exploring issues of climate change, based on Springs’ Green Project, in cooperation with Tear Fund. Come experience the breadth and depth of the issue, and explore the hope and impact we can have as individuals through the vitalizing medium of dance. Arrival/registration 10am. Start 10.30am, finish 4pm. Please bring lunch with you.